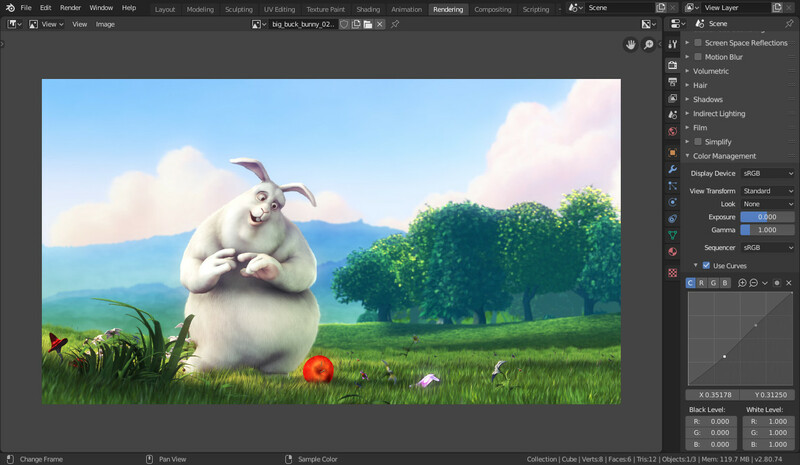 Welcome to Blender, the free and open source 3D creation suite. Blender can be used to create 3D visualizations such as still images, 3D animations, VFX shots, and video editing. Blender is well suited to individuals and small studios who benefit from its unified pipeline and responsive development process. Blender has a wide variety of tools making it suitable for almost any sort of media production. People and studios around the world use it for hobby projects, commercials, and feature films. Check out the User Stories page on the Blender website for more examples. Blender is a fully integrated 3D content creation suite, offering a broad range of essential tools, including Modeling, Rendering, Animation, Video Editing, VFX, Compositing, Texturing, Rigging, and many types of Simulations. You can download the latest version of Blender here. Despite everything Blender can do, it remains a tool. Great artists do not create masterpieces by pressing buttons or manipulating brushes, but by learning and practicing subjects such as human anatomy, composition, lighting, animation principles, etc. 3D creation software such as Blender have an added technical complexity and jargon associated with the underlying technologies. Terms like UV maps, materials, shaders, meshes, and “subsurf” are the media of the digital artist, and understanding them, even broadly, will help you to use Blender to its best. So keep reading this manual, learn the great tool that Blender is, keep your mind open to other artistic and technological areas and you too can become a great artist.